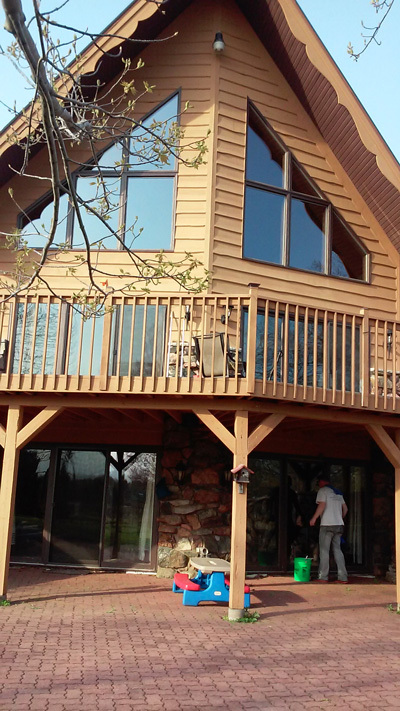 Orbit Window Cleaning LLC has provided exceptional window washing services for homes and businesses in the Wausau region for many years. We are experienced with any aspect of window cleaning from residential homes, to all types of 1-2 story high retail establishments. We also offer a range of specialty window cleaning services customized to the specific requirements of our loyal Wausau clients. We manage well-maintained vehicles that are fully equipped to safely handle any exterior or interior window washing job and stocked with commercial-grade cleaning products that are eco-friendly, yet highly effective. Customer satisfaction and superior results have been our main objectives since we washed our first set of windows many years ago. We have worked hard to build a reputation as a trustworthy window cleaning business in the Wausau area that consistently provides dependable and cost effective cleaning solutions and alternatives.